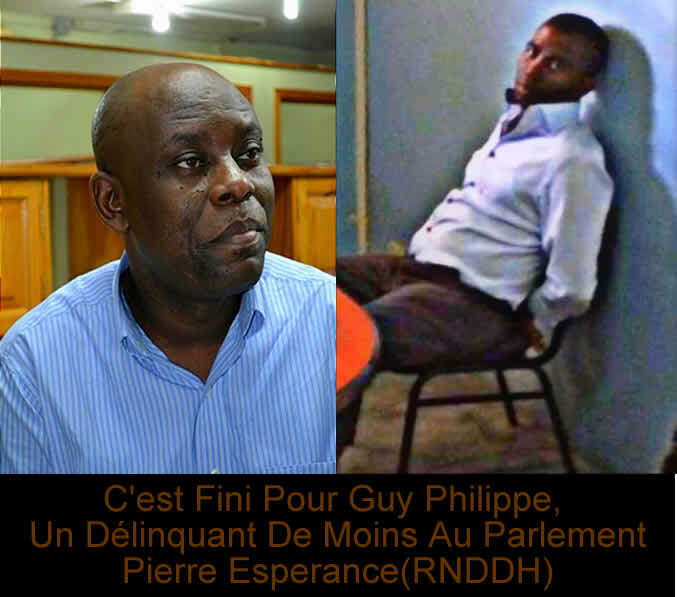 Statement from Pierre Esperance(RNDDH) in regard to the arrest of Senator elected Guy Philippe." C'est fini pour Guy, pas de solidarité dans le mal, un délinquant de moins au parlement". 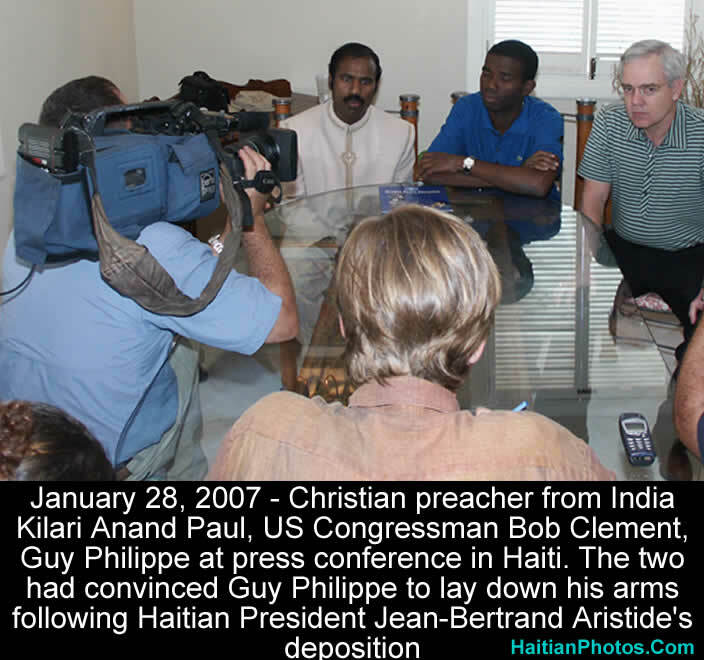 Kilari Anand Paul, a Christian preacher originally from India, Former US Congressman Bob Clement and Guy Philippe at a press conference in Haiti on January 28, 2007. 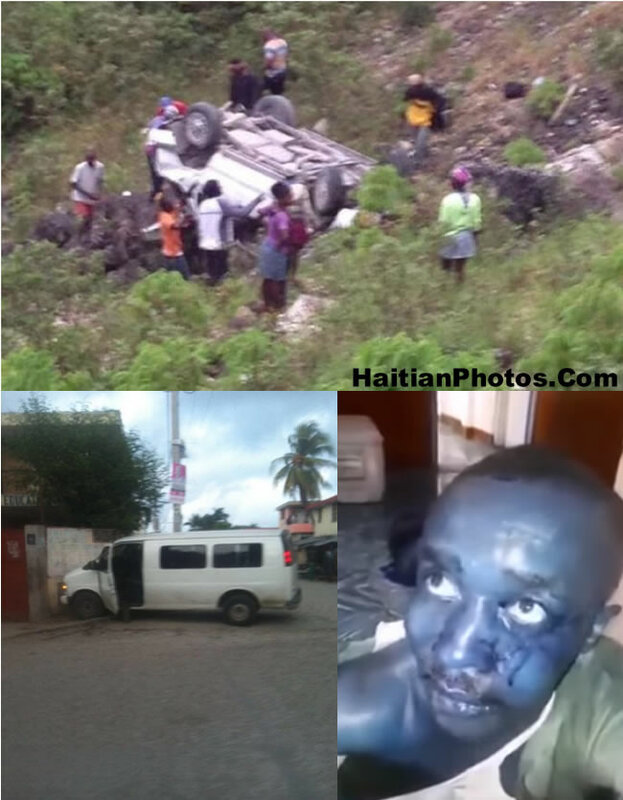 The two had convinced Guy Philippe to lay down his arms following Haitian President Jean-Bertrand Aristide's deposition. 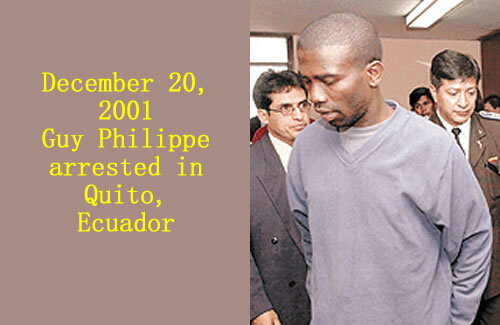 Here is a picture of Guy Philippe taken on December 20, 2001 as he was arrested in Quito, Ecuador. 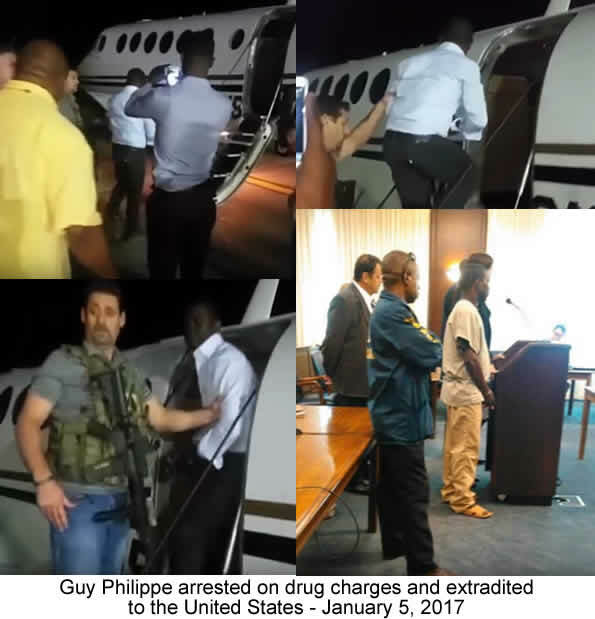 Guy Philippe, a former Tonton Macoutes leader, former Haitian Police Chief, and a presidential candidate (Front for National Reconstruction, a guerrilla group) in the Haitian General Election 2006, was arrested on 20 December 2001, in Quito, Ecuador. He was arrested for masterminding a deadly attack on the Police Academy in July 2001 and of an attempted coup in December 2001. 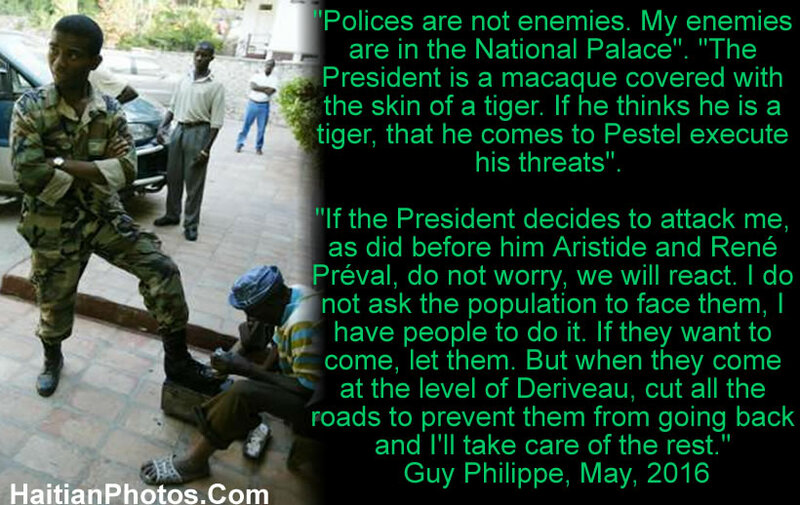 Earlier to that in 2000, he was removed from his post as police chief of Cap-Haïtien following an accusation of participating in a coup attempt in October 2000 and Philippe fled to the Dominican Republic. 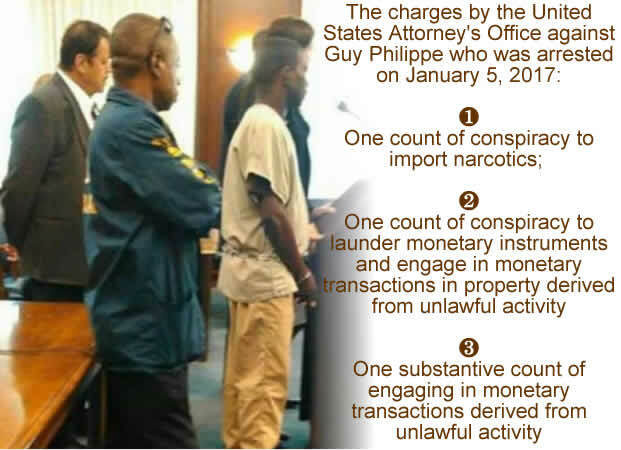 He received police training from the U.S Special Forces in Ecuador in the early 1990's and he was once wanted by the United States for smuggling cocaine. 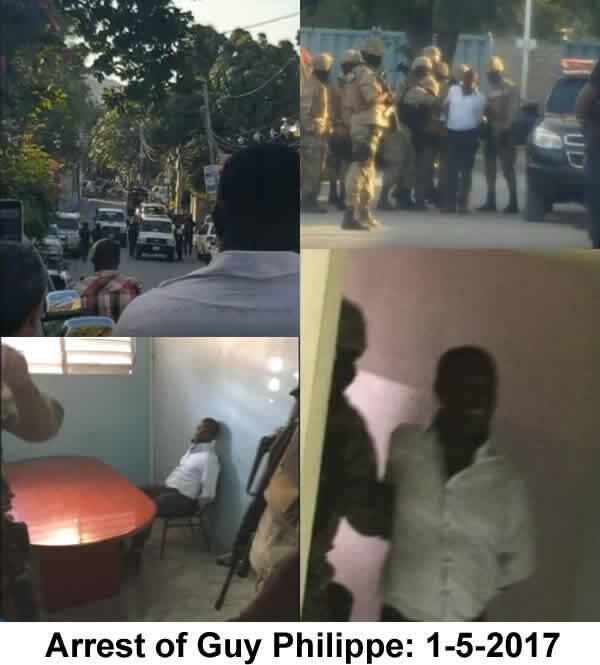 He was even accused by the Human Rights Watch for being a part of a death squad leadership (Tonton Macoutes) during the reign of Baby Doc Duvalier. 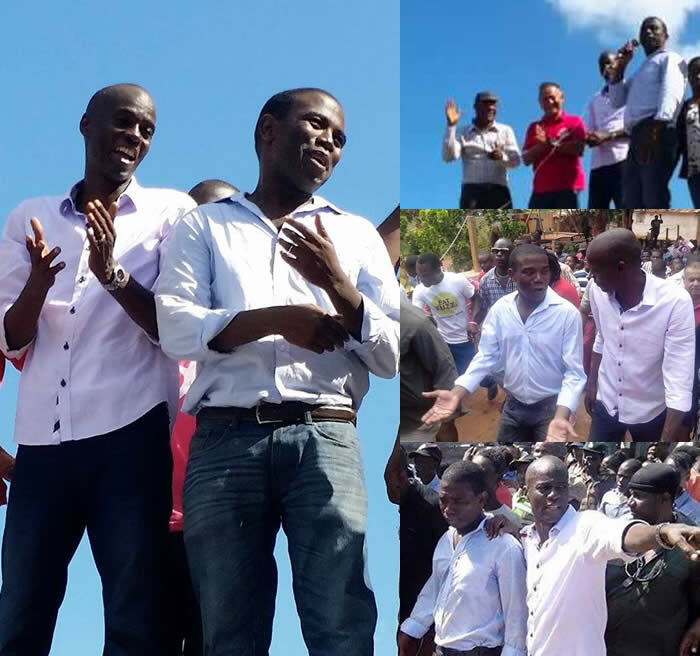 Guy Philippe who denied that he was involved in any plot to kill Dionald Polyte stated that this was part of a plan by the current President of Deputies, Sorel Jacinthe to tarnish his image.